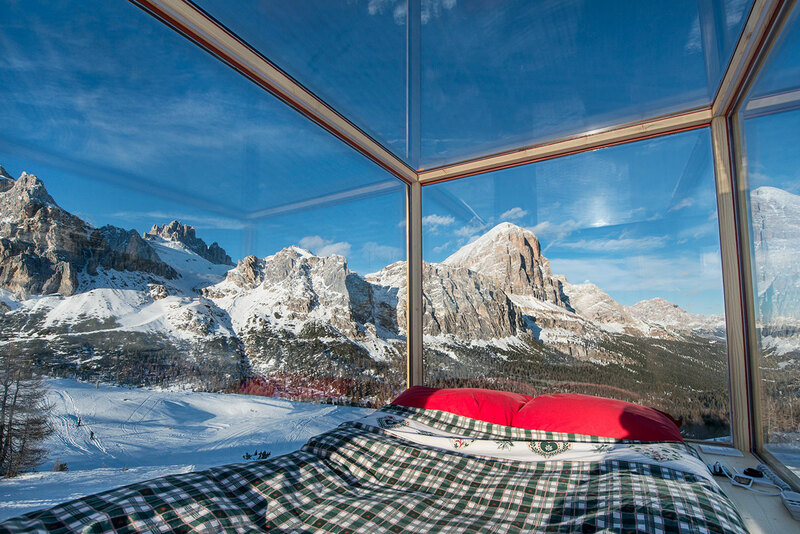 Experiencing the beauty of the Dolomites just reached a whole new level with a new Starlight Room at Col Gallina at the Falzarego pass. 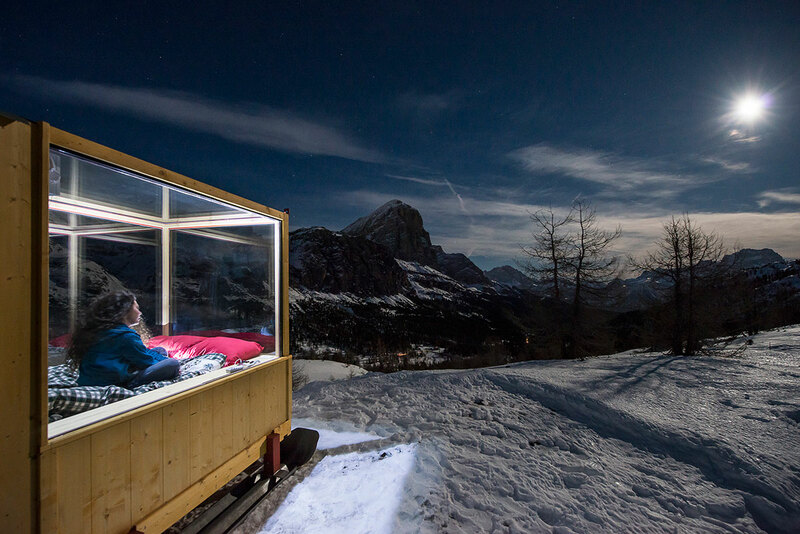 Spend the night in this mobile room that features glass walls and ceiling, giving guests an uninterrupted view of the sky and alpine region. 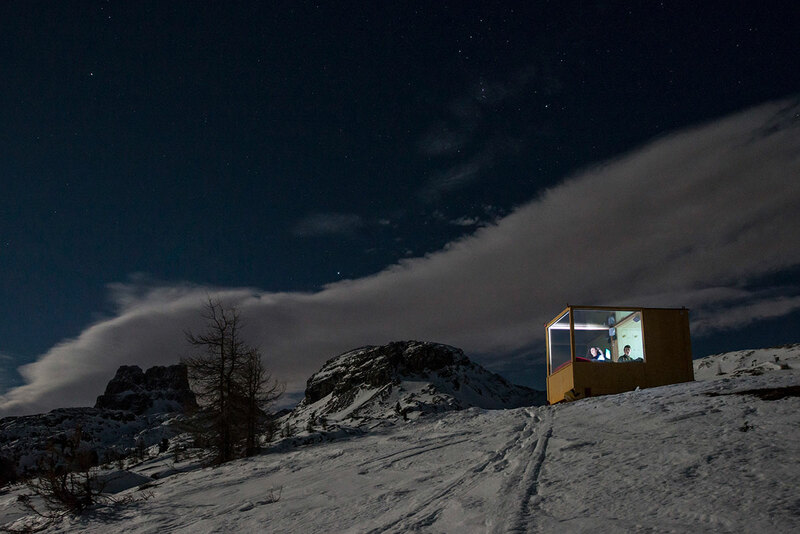 The small wooden cabin rests atop a pair of faux skis that add to the wintry landscape. 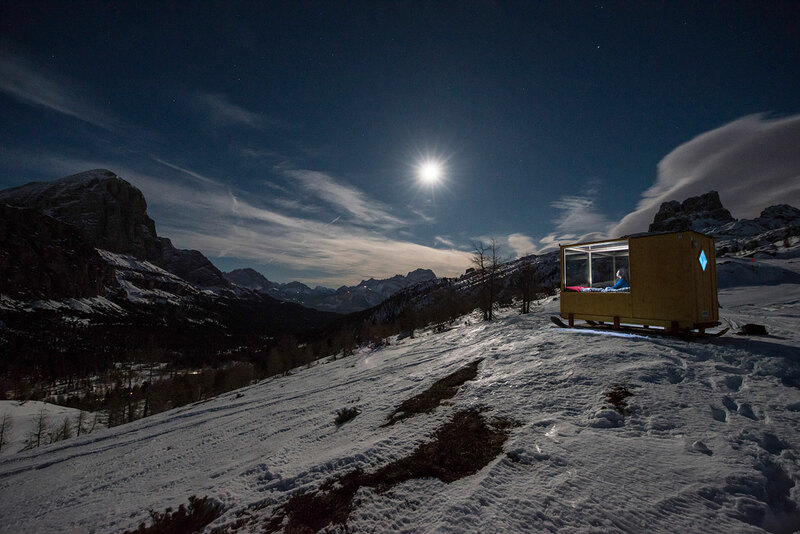 The cosy cabin sits at an altitude of 2,055m and includes a double bed accommodating solo visitors or couples. 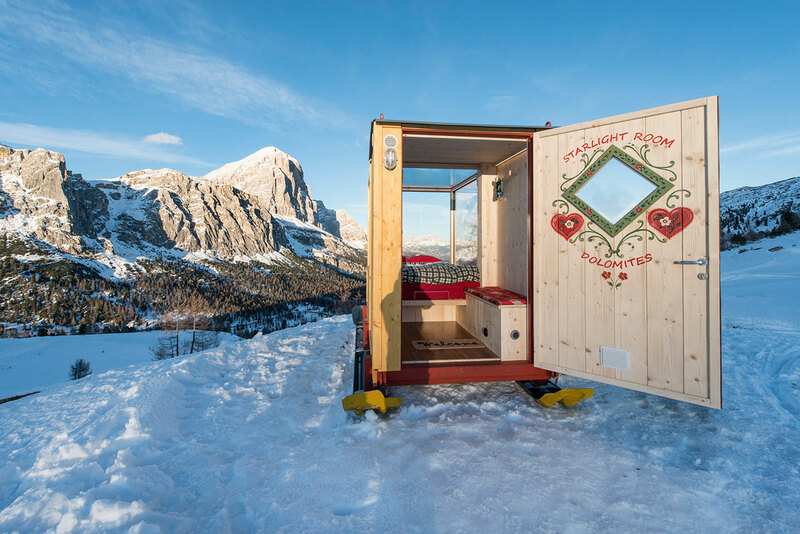 Residing just 20km from the bustling town of Cortina d'Ampezzo and the Val Badia, guests can arrive by snowmobile or using snowshoes. 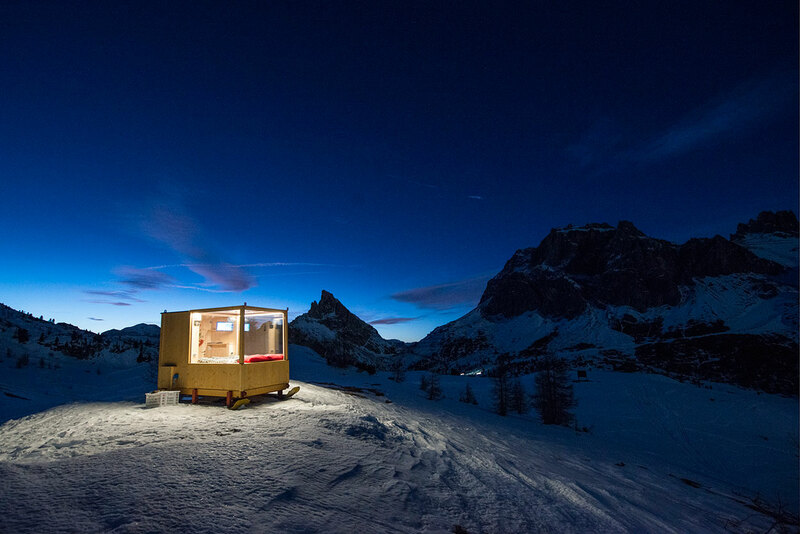 The concept came to life through Raniero Campigotto, owner of Rifugio Col Gallina a mountain lodge nearby. It appears everything has been thought of to achieve the full experience; guests can watch a movie on the wall-mounted TV, listen to music via the MP3 provided or using their smartphones and adjust the temperature to ensure they are snug throughout the night. Guests can also enjoy the local cuisine with a full course dinner, wine, and don't forget chocolate for the movie. 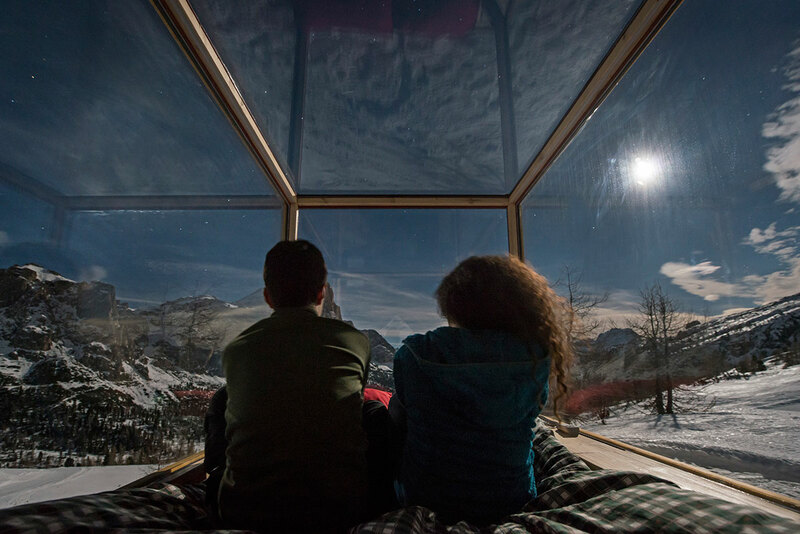 As the sun sets and rises guests will be able to experience the effects of the changing light on the Dolomite peaks, Lagazuoi, Tofana di Rozes and Sass de Stria, with reds, pinks and the starry night sky lit by the moon.